Domtar recently agreed to extend its support of and collaboration with the World Wildlife Fund (WWF) through 2020. Our sustainability partnership began decades ago, and it will continue to benefit the environment now and into the future. We began collaborating with the World Wildlife Fund, one of the world’s leading conservation organizations, nearly 20 years ago in an effort to protect the planet and ensure that forests continue to thrive so that future generations of people and wildlife can benefit from them. Over the years, our partnership has resulted in a number of programs that have benefited the Earth and improved Domtar’s production practices by promoting responsible forestry and trade as a means of advancing forest conservation. Since 2009, Domtar has made an annual contribution to the World Wildlife Fund through the sales of Forest Stewardship Council-certified EarthChoice products. Forest Stewardship Council (FSC) certification means that products labeled with the FSC logo come from responsibly managed forests. It’s a way to assure consumers that the products they purchase were produced in a manner that protects biodiversity and the ecosystem, respects the rights of local communities and ensures that forests continue to thrive. In 2015, we increased our annual contribution to $425,000 to further support the organization’s global conservation efforts. To date, we have donated more than $3 million to the World Wildlife Fund for conservation programs across the globe. We also support World Wildlife Fund efforts to increase best practices throughout the industry. 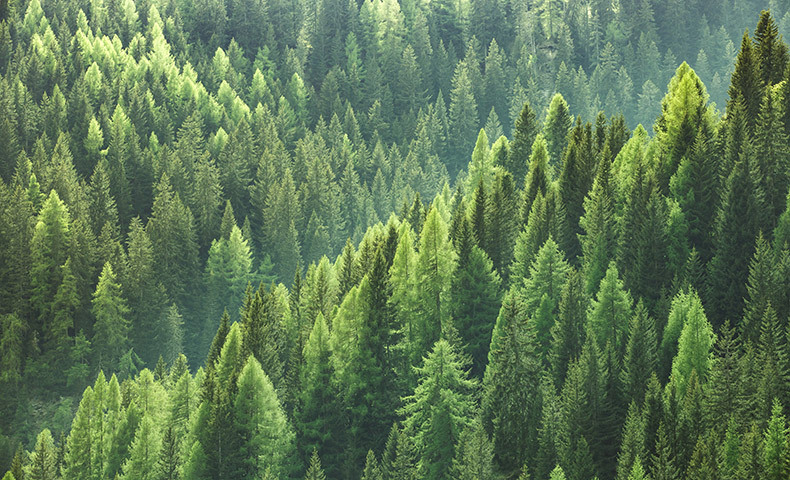 Domtar was the first pulp and paper company to join the World Wildlife Fund’s Global Forest & Trade Network — North America in 2008 and to eliminate controversial sources of wood from its supply chain, while increasing its volumes of FSC-certified and recycled material over time. As the only North American fine paper manufacturer to participate in the World Wildlife Fund’s Environmental Paper Company Index (EPCI) since its inception, we’re proud to join the World Wildlife Fund in leading the effort toward greater environmental responsibility. The EPCI is a tool that invites the world’s largest pulp and paper manufacturers to disclose their ecological footprint, thereby demonstrating leadership in transparency. Through our commitment to this partnership, Domtar will continue to help the World Wildlife Fund generate critical funding for conservation programs around the world.